Yes the love of ice cream is shared by us all. Now you can let everyone know just how much YOU love ice cream by screaming for it! Wither you are trying to decide what flavor of ice cream to indulge in, or simply want to let loose a primal scream and be rewarded with a picture of delicious ice cream, this is the application for you! 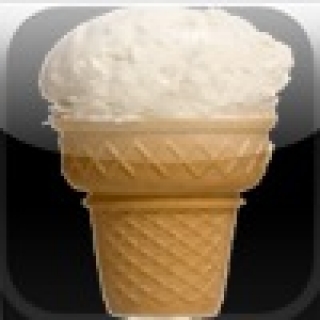 When you scream, iScream for Ice Cream will randomly display an ice cream flavor of your choosing. For less than the price of a large scoop of ice cream -- Get it before it melts!